Learn our Surf Movement Method, tested and evolved by some of the worlds best surfers. IT’S FINALLY HERE! A year in the making for the course book and a lifetime worth of knowledge & practice! Early bird prices & limited space! View our class timetable & prices. Learn a holistic approach to fitness training & long life of health. Contact us. YOU ARE PART OF THE WHOLE. Holistic Pro Healths' mission is to help you live a healthier lifestyle by improving your mobility, strength, stability, coordination, balance, conditioning, and breathing. We see you as a whole, not just one part. We want to improve not only your physical health but also your psychological health, by connecting both. 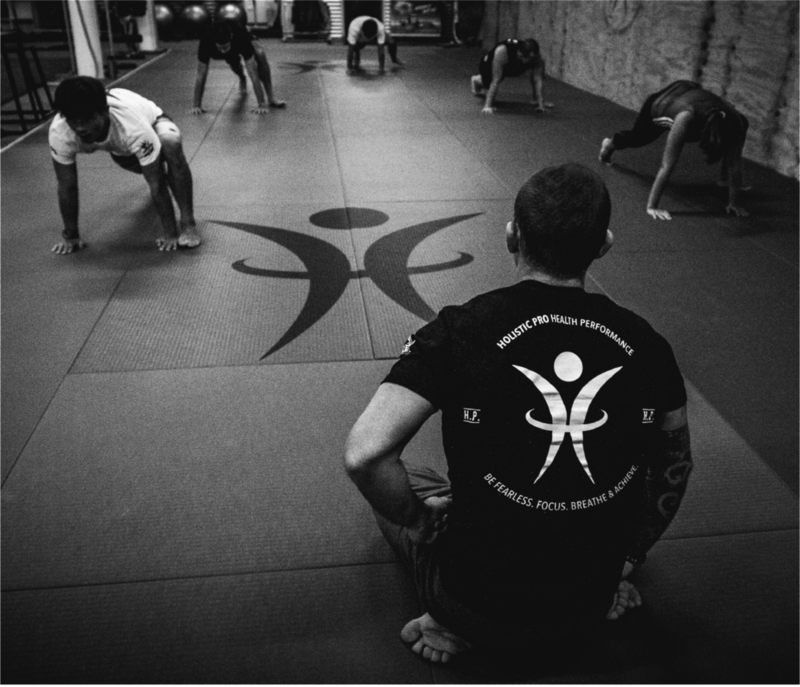 HPHP has developed movement classes which combine different methods of training including; strength, yoga, Capoeira, gymnastics, Pilates, surf training, body weights & Brazilian Jiu-Jitsu. Improve your mobility, strength, balance, stability, co-ordination & agility in a fun and casual environment. Separate KIDS CLASSES also available. Elite Coaching is sport specific strength coaching to meet the needs of your chosen sport of passion, we work with everyone from professional surfers to international swimming squads or individuals with specific goals or injuries. A good strength program will give you the competitive edge. It's not about following a diet that is restrictive and narrow minded, it's about improving your well-being by becoming aware of how your body reacts to certain foods. We will work with you to find out what works best for you! Increase your energy levels, lose weight and feel healthier!